First, we put together this handy guide on how to submit and host your own CryptoKitties event. Second, and more exciting, we’re minting only 100 Special Edition Sparkles Kitties, and the only way to win one will be to take part in a community event. What types of events are we looking to support? To provide an example of the kind of event we’re talking about, we’re kicking off with one called the Unicorn Set Challenge. We’re giving away three Sparkles Kitties to three lucky players who’ve completed the Nubbins, Scaredy Cats, and Patternal Line Set Challenges with a single-horned Kitty in every slot. 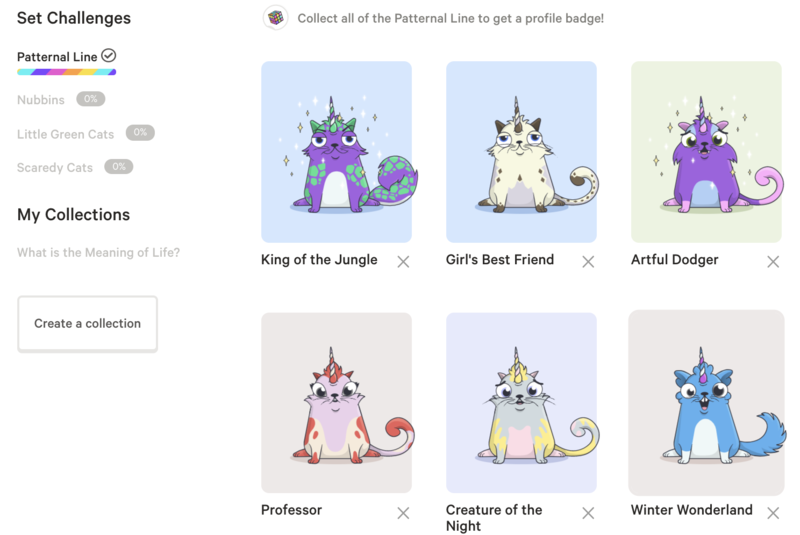 To submit your entries, share your CryptoKitties profile on Twitter with the hashtag #UnicornSetChallenge and tag @CryptoKitties. We’ll conduct the drawing in the official CryptoKitties Discord on April 16th at 6:00 PM PDT, when three unique winners will be chosen. For 12 entries and the best chances to win, complete all three Set Challenges. Your sets must still be complete and valid at both the time of submission and the time the drawing is held and winners are verified. The contest runs from now, April 9th, until 5 PM PDT on April 16th, so hit the marketplace and get breeding! We’re supporting community events and donating special Kitties too! Kitties unite! Over the last year the community has organized several events to bring Kitty collectors together. Now we’d like to help out more officially by sponsoring community-led events. Get access to the weekly newsletter all the Kitties are purring about. Be the first to know about contests, events, and other tasty treats.